... Themes of the Week! In place of the excellent "Photos of the Week", "Themes of the Week" were introduced in early August 2004. During the following months, many aspects of broad the VT-2004 programme were covered, with direct links to the related pages. An Exoplanet Encounter of the Third Kind ? Venus Transit Public Events Very Successful! Theme 19 (Week of December 13 - 19, 2004): See you again in 2012! Transits of Venus across the solar disk are rare events; only seven have taken place since the beginning of the 17th century. A detailed and accurate calculation by the Institut de Mécanique Céleste et de Calcul des Éphémérides (IMCCE) in Paris shows that there are exactly 82 Venus Transits between the years -3000 (BC) and 3000, i.e. over a span of 6 millennia. The first of these took place on November 17, -2970, and the last one will happen on June 14, 2984. If you are interested in more details, you may consult the extensive table ("Canon of Transits") on the comprehensive CD-ROM ( "Les Rendez-Vous de Vénus" ) that was produced by the Paris Observatory and also contains more than 10,000 fascimile pages of historical documents related to transit expeditions and observations. Look here for a brief description (Word) with some examples of the pages. It is on sale at EDP Sciences. The next Venus Transits will take place in June 2012, December 2117, December 2125, June 2247, June 2255, December 2360 and December 2368. While this year's transit was optimally visible in its full duration from most of Europe, it will not be so in 2012. As the map of the visibility (above) indicates, observers in the Pacific region may follow the entire transit (weather permitting), but those in Europe will only be able to enjoy the latter part of the event. The further west they are located on that continent, the shorter will be the time interval between sunrise and the end of the transit. Still, there should be plenty of opportunities to make observations and it is very likely that the public interest will then equal, and quite possibly surpass, the enormous appeal in 2004. Long before that, however, the VT-2004 Final Report will have appeared, summarizing the current pilot programme and providing stimuli for the next one. It will be announced here when it becomes available in early 2005. This is last "VT-2004 Theme of the Week" to be displayed here. The organisers of the VT-2004 programme wish to thank all involved for their great efforts to make this unique public programme such an outstanding success. We hope that our many visitors have enjoyed this website and the voluminous and detailed information stored here. In any case, the statistics for "www.vt-2004.org" are still impressive, e.g., nearly 10,000 sessions during November 2004 alone. The transit of Venus on June 8, 2004, was a most spectacular celestial event. But there are other transit phenomena in the solar system. In fact, astronomers talk about "transits" and "occultations" as two kinds of the same basic phenomenon. Both refer to one celestial object moving in front of another, as seen from a particular observing site (on the Earth). A "transit" is when the object that is in front appears smaller in the sky than the object behind and thus does not fully cover it. This is for instance when one of the inner planets - Venus or Mercury - moves in front of the Sun and is seen as a small dark spot on the solar disk. However, there are also other transit events in the solar system, e.g., when the satellites of Jupiter and Saturn pass in front of the planetary disk. More information is available in Extended InfoSheet A3. An "occultation" is the opposite of a transit, that is, when the object in front appears larger than the object behind and thus covers the rear object completely (a "total occultation") or partially (a "partial" or "grazing" occultation). 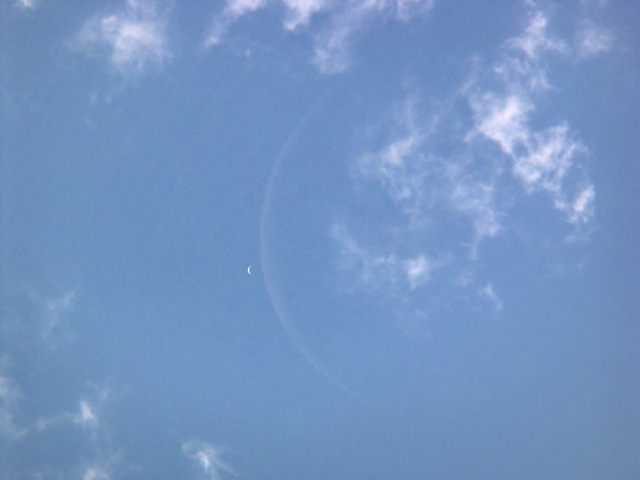 A fine example of a total occultation was when Venus was covered by the Moon on May 21, 2004. This event was observed by many amateur astronomers - look at the photos and movies displayed on the corresponding thematic page of the VT Photo Archive. Occultations of planets by the Moon are actually not that rare. For instance, this week (on Tuesday, December 7, 2004), Jupiter "hides" behind the Moon; this event may be observed from the USA and southern Africa. Another kind of occultation is when the Moon, a planet or an asteroid passes in front of a (bright) star. Lists of such events are available via the central website of the International Occultation Timing Association (IOTA). A "solar eclipse" occurs when the Moon moves in front of the solar disk and covers it completely or partially - this is just another phenomenon of the same type, but of course much more spectacular, cf. 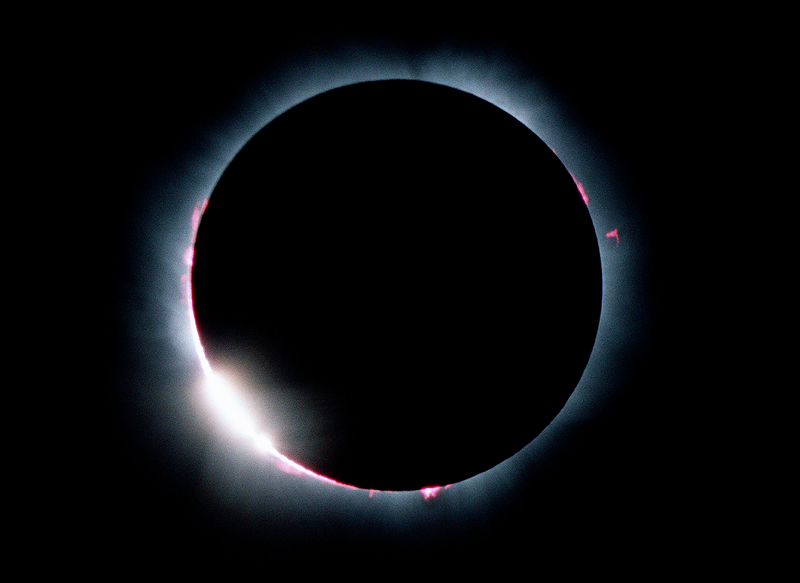 the account of the total solar eclipse on August 11, 1999. You will find a list of upcoming solar eclipses (until 2010) on this page (by F. Espenak). 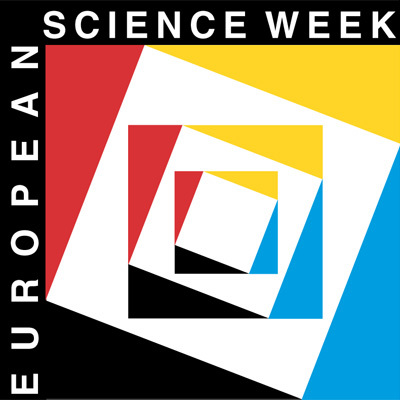 The next ones that are well visible in Europe happen on October 3, 2005 (best viewing conditions from Spain), and March 29, 2006 (best from Turkey). You will find very detailed information about these and other eclipses at the IMCCE website. A "lunar eclipse" is somewhat different as it occurs when the Moon passes through the Earth's shadow cone. All lunar eclipses in the present decade (2001-2010) are listed here (by F. Espenak). Finally, on rather rare occasions, one solar system planet may pass in front of another, as seen from a particular region on the Earth. For instance, on August 11, 2079, Mercury will pass in front of Mars during a "Mercurian occultation". On 22 November 2065, Venus will transit across Jupiter's disk and Mercury will do the same on April 7, 2094. Theme 17 (Week of November 29 - December 5, 2004): The Venus Transit and the Youngest! The Venus Transit this year was a unique event that could be enjoyed by everybody. Millions of spectators experienced the beautiful and extremely rare sight, with the unaided eye or through a telescope well protected by a solar filter (or, less directly, on the TV-screen or via the web). All age groups were represented, from children in kindergarden to senior generations. In retrospect, it has become very clear that this was also a great opportunity to introduce the youngest to a natural phenomenon, to convey to them some basics of astronomy and the world on which we live in a very visible way . Many instructors have since commented on the obvious engagement of 4-6 years old children on this occasion. Some teachers were surprised that children this young could comprehend such an event, others commented on this as a strong demonstration of the great untapped educational potential inherent in celestial observations. Whatever the case, it is obvious that the view of a small dark spot moving in front of the solar disk was an exciting experience that has undoubtedly left traces in many young minds. The VT-2004 website bears witness to this important effect and it invites educators and parents to reflect upon future similar opportunities. Indeed, a much visited sub-area of the VT-2004 website was the Kids' Area , specially conceived and produced by Cecilia Scorza de Appl of Heidelberg (Germany), who is the author of several children's books. These pages introduce, in simple and inviting terms, the basic notions of the Solar System, the Venus Transit and how to do safe observations. 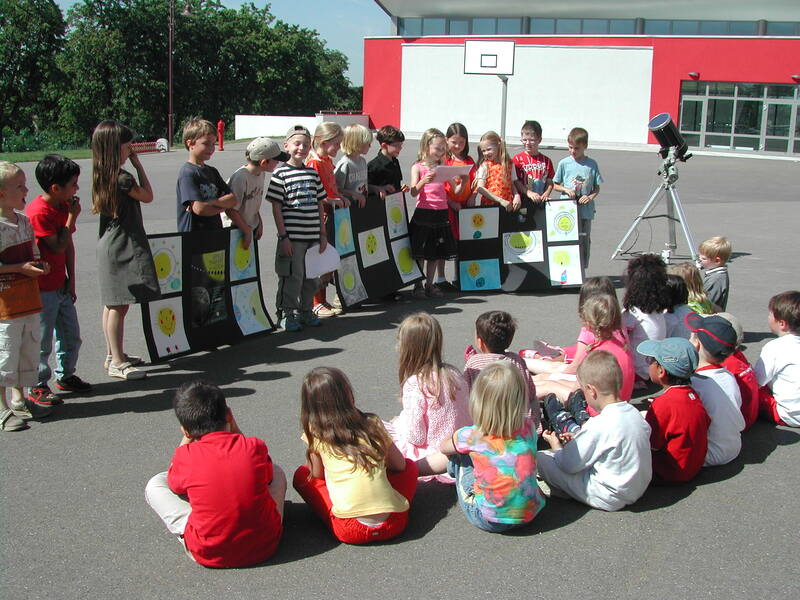 Numerous photos have been published of the many observing sessions at schools and kindergardens all over Europe, many conveying the joy and surprise of the young spectators. Professional and amateur videos also document this very vividly. An interesting account of the successful preparations, observing session and follow-up actions in a kindergarden and primary school in Luxembourg was presented by Martine Haustgen-Wagner at the VT-2004 Final Event ( PPT: 17.3 MB or PDF: 2.2 MB). Several educators have commented on the virtues of having older children teach the younger ones about the transit and the associated observations, to the obvious mutual benefit! When the organizers of the VT-2004 educational programme set up a website for drawings a few months ahead of the transit, only a few were received during the weeks thereafter. Despite several attempts to call attention to this feature, there was amazingly little response, right up to the beginning of June. But then everything changed! Hundreds of children of ages from from 3 to 15 years who had witnessed the transit decided to fix what they had seen on paper and many sent in their oeuvres. The pages of the VT-2004 Gallery provide a wonderful record of their experiences, genuine expressions of a memorable event. The Venus Transit demonstrated (once more) the enormous educational potential of astronomical events, also for the youngest children. It is highly desirable to further exploit this whenever suitable opportunities arise. Theme 16 (Week of November 22 - 28, 2004): Winning Videos! One of the high points of the Venus Transit Experience" conference in Paris earlier this month was the announcement of the top winners of the VT-2004 Video Contest . They were selected by an international jury among the many entries and, in agreement with ESO and in recognition of the excellent quality of all three videos, it was decided to award all three teams a trip to Paranal. What made those videos win? Obviously, many different aspects... from idea to realization, from content to technique, from images to cutting, from individual scenes to overall sentiment, etc. etc. Now you may see the three top winning videos! Click on the images to download the Quick Time movie files. Note that in order to keep the transfer times reasonable (but they are still big! ), the frame size was reduced to 25% of the original (now 352 x 288 pix) and the frame rate was set at 10 frames/sec. The full-size files will become available with the VT-2004 Final Report in due time. "The Venus Transit in the Golden Valley"
The First Prize was won by Matthews Biggs, James Hendry and Louisa Llewellyn , (Herefordshire, UK), who report on the Venus Transit event at the Fairfield High School, as organised by Paul Haley. Their film shows the preparations and the very spontaneous reactions of some of the many young participants. Safety issues are included, as well as demonstrations of the motions of Venus and the Earth around the Sun. There is also a webcast from the North Loburn Primary School at Rangiora on the southern island of New Zealand. Quoting the title of several reports about astronomical observations of the Venus Transit in earlier centuries, the 2nd Prize was won by a film made by Martin Lhotak and Robert Smolik (Prague, Czech Republik). They belong to the civic society of the city of Lodzie that has undertaken to renovate the "Wallenstein Loggia", an old building (that was apparently intended to be an observatory) constructed by Albert of Wallenstein and the Italian architect Giovanni Pieroni in 1632-34. The film tells about the public observations of the Venus Transit 2004 made there with home-made instruments. The 3rd Prize went to Piotr Majewski and Jerzy Rafalski (Torun, Poland). 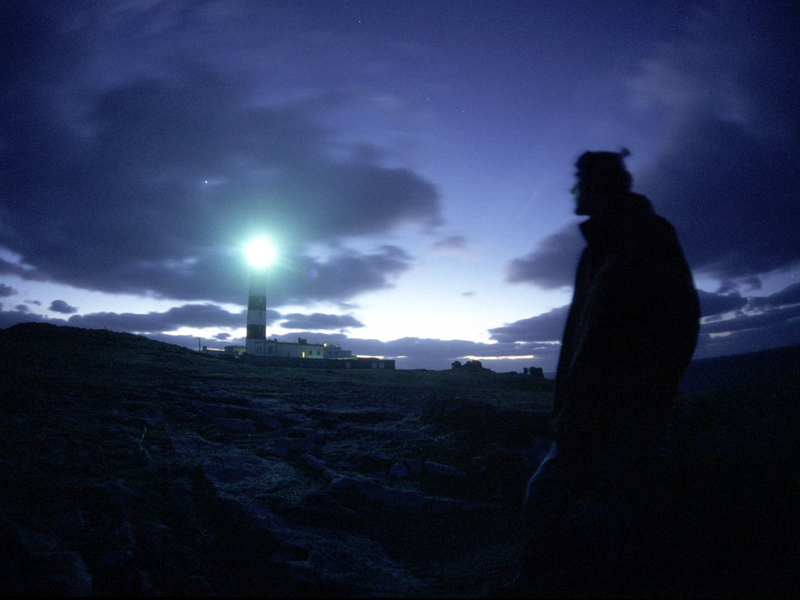 The story opens on May 13 in the year 2473 on planet Mars, the day of an unusual planetary transit in front of the Sun! This is also the 1000th anniversary of the birth of the famous Polish astronomer Nicolas Kopernicus (1473 - 1542). Then follows a retrospect of another transit in the distant past, that of Venus as seen from the city of Torun in 2004. Although the weather was not particularly co-operative, a large number of people passed by and were treated to a great spectacle from the central square. Hits on the VT-2004 web site on June 8, 2004. A record 100,000 hits/minute was reached. Because of their rareness, transits of Venus are a real testimony of science and society at a given epoch. In the 17th century, it was the epoch of pioneers. Only a handful of people witnessed Venus passing in front of the Sun. In the 18th century, following the method developed by Edmond Halley, great hopes were put on the Venus transits to measure the distance from the Earth to the Sun and hence, to determine the scale of the entire solar system and so the Universe. Many expeditions were conducted in remote places by mostly European astronomers who weren't afraid of travelling for years, even while wars were raging. This was the time of adventures. It was also the time of the first real scientific cooperation at an international level. In the 19th century, the Transit of Venus lost a little bit of its special status as scientists started to use other methods - including the measurement of the parallax of asteroids - to determine the distances in the solar system. Still many expeditions were made all over the world. Photography, recently developed, was used, as well as the telegraph. But even though many popularization books or accounts were now being written for the broad public, this was still mostly a domain reserved for highly specialized scientists. In the 21th century, the advent of the radio, of TV and of the Web makes the Venus Transit a truly universal topic. It would have been difficult not to be aware that something was happening on June 8! What was once the privilege of a few specialized scientists now became accessible to millions of people who, through the Web, were able to participate - actively or passively - in the event. It was possible to learn about the transits, about the history, the science, etc. To read the many associated stories, to share the enthusiasm. To enjoy with others the many photos, drawings and videos, to exchange thoughts and excitement, etc. To see - in real time - the event, even if it was clouded or if the event was not observable, from the office or from home. It was also possible to calculate - by a simple click - in real-time the value of the Astronomical Unit from your own measurements, something that took months in previous centuries. Not surprisingly, the VT-2004 project web site is among the most prominent of these web sites. Already at the start of the project, it was decided that the Internet would be the main vector of interaction. The VT-2004 website was first set up in June 2002 and was expanded as more features were added. A major upgrade of the top-level pages was therefore performed in early April 2004. It now contains about 2 Gigabytes of data and more than 36,000 files. It contains background information on topics ranging from history of the transits, to the definition of time, from Venus in science fiction to measurement of the parallax. The web site also contains much Educational material with suggestions for class activities at different levels. There is also the large photo archive containing more than 600 photos - some animated, as well as the art gallery with 410 drawings, mostly from children of every age, and a video and animation collection. And maybe one of the strongest points of the VT-2004 Web site is that it has - partly or fully - been translated into many European languages. They are available on the web sites of the VT-2004 National Nodes. The VT-2004 web site is thus really loaded with information. It is the result of a huge amount of work by many people and will surely remain a very useful tool for the future. The VT-2004 web site was of course also the focus during the day of the Transit itself. A Control Room was set-up at the ESO Headquarters in Garching (Germany) which harboured 5 specialists (astronomers and IT) and 2 students from the European School, with the AGAPE amateur astronomers observing team outside. The Control Room started activities already at 2:30 in the morning and the hot phase was finished around 15:00. The main results were the Central Display pages featuring real-time images, a webcast, live commentaries, update on the calculated value of the astronomical unit, etc. These pages are still available in the CD-archives. Over the 8 hours surrounding the transit, more than 55 millions web hits were registered - with peaks of 100 000 hits per minute - for a total of 1.75 Terabytes downloaded. Thanks however to the mirroring service provided by the Akamai company, the VT-2004 web server never suffered from this considerable strain, as seen from the many nice words we later received by email or on the VT-2004 Forum. During the transit, the VT-2004 web site ranked amongst the 6000 most viewed web sites in the world (for comparison, Google references 8 billion pages). This was as much - at the time - as the web site of the Athens Olympic Games. Thus, on that very special day, Science - for once - attracted as many viewers as sport! The meeting was opened by the Directrice de la Recherche, Mme Elisabeth Giacobino, on behalf of the French Minister of Research, as well as Mr. Bernard Leroy, from the CNRS, on behalf of the Director General of the National Institute of the Sciences of the Universe (INSU, CNRS). Following an overview of the VT-2004 programme with the presentation of some of the highlights, a lecture by famous astrophysicist and populariser Hubert Reeves on "Humanity and Astronomy" placed the associated themes into a larger perspective. 1st Prize: " The Venus Transit in the Golden Valley " by Matthews Biggs, James Hendry , and Louisa Llewellyn , (Lancashire, UK). The Jury, in agreement with ESO, and in recognition of the excellent quality of all three winners decided to award all three teams a trip to Paranal, a gesture that was received with much emotion by all. Everybody agreed that this meeting proved very successful and was a nice conclusion to a unique project. Most of the presentations shown at the conference are available on this page. As will be remembered, the VT-2004 programme set up a unique, international network of observers to observe the Venus Transit event on June 8, 2004. A stated goal of this VT-2004 Observing Campaign was to re-enact the historical determination of the distance to the Sun (the Astronomical Unit) by collecting timings of the four contacts made by these observers and combining them in a calculation of the AU. Here is a brief overview of the impressive results. All details about the calculations are available in a number of reports, now accessible via the "VT-2004 Observing Campaign Results" webpage. A large number of groups of observers registered; at the end, there were 2763 all over the world, as shown on this map. Among these were almost 1000 school classes, demonstrating the large interest among students and teachers to participate actively in this unique celestial event. The majority of registrered observers (2427) were located in or near Europe, see this map. As expected, not all groups delivered timing observations of the transit. In some places, the weather did not co-operate, some observers may have had instrumental problems, e.g., with the time signals, and others may not have felt confident to send in their measurements. Still, the resulting database is impressive: before the stipulated deadline on July 10, 2004, no less than 4550 contact timings were received from 1510 registered observers ! This result is only 0.007% larger than the currently accepted value, as determined by radar measurements ( 1 AU = 149 597 871 km ), a splendid outcome of a truly unique international collaboration! In a nutshell, even if we had not known the distance to the Sun before the Venus Transit 2004, we would have been able to measure it with an accuracy of one hundredth of a percent by means of the observations made on this occasion by the many participants all over the world! Venus is the third-brightest object in the sky (after the Sun and the Moon) and it is a very impressive sight. It is thus no surprise that Venus played a fundamental role in most mythologies. Venus is named after the Roman goddess of love and peace. To the Greeks this was Aphrodite , to the Egyptians the goddess Isis and to the Phoenicians the goddess Astrate . The Saxons used the name of their fertility goddess, Fria , which led to the English name of Friday, whereas the French name Vendredi indicates its Greek-Latin origin. To the ancient Chinese, the planet was the " Great White One ". To the Maya people, Venus was the god of war, and it was believed to beam down evil rays bringing death and destruction. Venus' ubiquity, bright appearance and dense atmosphere made it also a perfect target for science fiction writers. As the cloudy shell doesn't allow us to view the planet's surface (except through radars), it was fertile ground for speculation. Many questions arose: were the conditions on Venus' surface similar to the conditions which prevailed on Earth many millions of years ago at the time of the dinosaurs? What kinds of landscape exist, what life forms inhabit them (men, plants, animals ?) and are these supposed life forms sufficiently intelligent and evolved to contact us? All of which made good material for books and movies. Bernard le Bovier de Fontenelle in France for example believed in Venusian inhabitants in his extraordinary book "Entretiens sur la Pluralité des Mondes " published in 1686. It was the first well-founded scientific novel about extraterrestrial worlds. 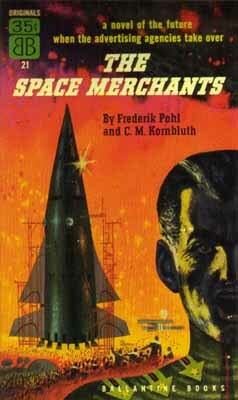 Venus came to the fore as a theme for science fiction novels in the 1930s. They depicted the planet as a virgin world with fauna and flora which existed on Earth during the Carboniferous and Permian periods (jungles, deserts, oceans, volcanoes and dinosaurs). The stories reflected the colonial history of Africa and the American West. The best known novels about Venus were written by Edgar Rice Burroughs . The Polish author Stanislav Lem was one of the first to create an image of Venus very similar to our present knowledge of the extreme surface conditions on the planet. In his novel "The Astronauts" (1951), he described the surface of Venus as a hellish place. The astronauts who visit it on an international expedition see that the cause is not natural. When they discover the remains of an extinct high technology civilisation, they find evidence that the inhabitants had committed nuclear suicide and destroyed their environment. The first flybys of Soviet and American spacecraft and their transmitted data brought to an end the classical Venus science fiction novels, because they showed that Venus was absolutely unsuitable for colonising adventures. Science fiction writers therefore "migrated" onwards to extra-solar planets (exoplanets) near other stars. You may learn more about these topics in the dedicated VT-2004 brief and extended infosheets: on the mysterious clouds of Venus, Venus in Mythology and Venus in Science Fiction. This aureole was first described by the famous Russian natural scientist Mikhail Vasil'evich Lomonosov (1711 - 1765) in his "Apparition of Venus on the Sun, as observed from the Imperial Saint-Petersburg Academy of Sciences on May 26th, 1761". He correctly interpreted the phenomenon as the refraction of the sunlight in an atmosphere surrounding Venus and considered this as additional support of his conviction that there are many other inhabitable worlds beyond the Earth. A fictive observer on the Moon would see the same phenomenon - an "Earth Aureole" - when the Earth's disc progressively covers the Sun at the time of a lunar eclipse. It is exactly for this reason that the Moon appears very red during a total lunar eclipse: the only sunlight that reaches the Moon when it is entirely inside the Earth's shadow is that passing through the Earth's atmosphere which "removes" most of the blue light. Some of the photos in the VT-2004 Photo Archive show Venus' Aureole and have been collected on a thematic page. Other photos and videos on it is well visible are available at the websites of the Dutch Open Telescope (DOT) and the Swedish 1-m Solar Telescope (SST), both located on the Canary Islands (Spain). Details about this phenomenon were placed on a dedicated webpage, warning all observers to be careful when timing the contacts. However, the experience during this year's transit proved that it must have been mostly due to the lesser optical quality of the telescopes that were used to observe the transits in the XVIII and XIXth centuries. In any case, as the many photos in the VT-2004 Archive demonstrate, the "Black Drop" phenomenon obviously did not play any significant role this time. Many observers remarked that they did not suffer any particular difficulties with the timing and many image sequences testify to the general absence of such an effect. Look also at the special page in the VT-2004 Photo Archive that deals with image processing techniques on photos obtained near the moments of the contacts. Early in 2004, Venus was about "half", but as it moved along its orbit between the Sun and the Earth, we began to see it more and more "from behind". Consequently, the illuminated part of the disc steadily diminished and right before the transit on June 8, Venus' crescent had become extremely thin. At the same time, some of the sunlight was refracted through the Venusian atmosphere, creating the effect of an illuminated, partial "ring". The same phenomenon was observed on some photos taken when Venus "entered" and "exited" the solar disc at the time of the transit. 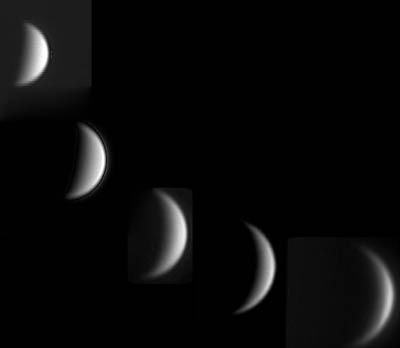 Photos of Venus's phases are displayed in chronological order on a thematic page in the VT-2004 Photo Archive as they were photographed before and after the Venus transit on June 8, 2004. Theme 8 (Week of September 27 - October 3, 2004): What is in a Name ? Venus is the third-brightest natural object in the sky after the Sun and the Moon (strictly speaking, except for an occasional, very bright meteor, comet or supernova). Due to Venus' motion in its orbit around the Sun, it is sometimes visible in the evening sky high above the western horizon, sometimes in the morning sky to the east. This was also the case this year: during the months before the transit on June 8, Venus was a beautiful sight in the early evening hours. After the transit, it became an impressive view to early risers enjoying the first signs of dawn in the eastern sky. Although this may not be an obvious conclusion to the casual observer, many ancient people still realised that the "Evening Star" and the "Morning Star" are in fact one and the same object and they used only one name for both, as we now do. In other cultures, different names were used. You will find more information about the various mythological names of Venus in the corresponding VT-2004 InfoSheet D9 ( brief and extended version). Do you know that one of the giant 8.2-m telescopes of the ESO Very Large Telescope Array (VLT) at the Paranal Observatory (Chile) is named after Venus? 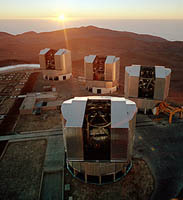 Indeed, the fourth Unit Telescope is called "Yepun" , meaning the "Evening Star" (that is, Venus) in Mapudungun, the language spoken by the Mapuche people in Chile. The naming was not entirely without problems, though, as "Yepun" was first thought to mean "Sirius", the brightest star in the sky. However, a thorough investigation by Guillermo Delgado (ESO-Chile) revealed the correct meaning of the name; you may learn more about this interesting story here. Theme 7 (Week of September 20 - 26, 2004): A Visit to Venus ? When the American Apollo astronauts visited the Moon in 1968-72, optimism reigned in many quarters. Soon we would establish a permanent manned base on the Moon; soon we would begin to travel to the other planets in the solar system! It came differently - the Moon is still the only other celestial body on which humans have walked. But plans are now being discussed for expeditions to Mars, possibly within the next 20-30 years. To Mars ? Why not to Venus ? After all, Venus is significantly closer to the Earth than Mars - while Mars may approach us to about 60 million km, Venus was only 43 million km away at the time of the Venus transit on June 8, 2004. Yes, why not visit Venus ? The answer is simple - it is impossible, at least with present-day technology. Venus possesses one of the most inhospitable environments. It may in fact be one of the last places to be visited by daring travellers from the Earth, if ever! 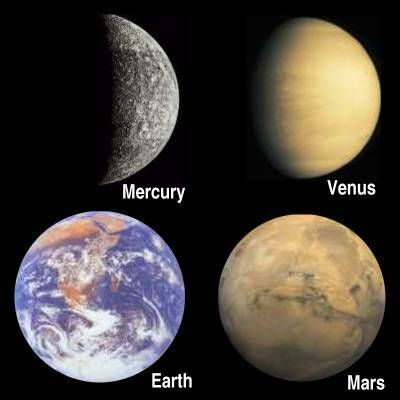 For several centuries, Venus and Mars were considered to be prime candidates as abodes for intelligent life because in telescopes they showed some similarities to the Earth: an atmosphere with clouds, seasons (on Mars) and faint dark variable features which could be continents. Fascinating surface features on Mars included red deserts and shining white polar caps which changed with the seasons. For Venus it was significant that the planet was only slightly smaller than the Earth and was densely covered with clouds. Until the end of the 1950s many scientists believed that the Venusian clouds were made of water vapour, and since the planet orbits the Sun closer than the Earth, the surface conditions on Venus could be tropical. Some people thought the surface of Venus might be covered with large jungles similar to those which existed on the Earth during the Carboniferous and Permian periods with prehistoric reptiles and insects - a very common and popular idea in science fiction novels and films in the middle of the 20th century. The only way to "look" through the completely cloud-covered atmospheric shell is to beam radar waves to the surface or send a spacecraft to the Venusian surface. The first ground-based radar investigations were made in the mid-1970s with the giant 310-metre antenna at Arecibo in Puerto Rico (USA). Later, American and Soviet spacecraft orbited the planet and sent back information about the atmosphere and the surface conditions. Several Soviet spacecraft (Venera 11-14) landed on the surface; two of them sent back photos in 1975. Today we know after years of intensive study of the numerous data transmitted by space probes that Venus is radically different from the Earth in many important ways. The pressure of Venus' atmosphere at the surface is 90 atmospheres (about the same as the pressure at a depth of 1 km under the Earth's oceans). The dense gaseous shell is composed mostly of carbon dioxide. There are several layers of clouds, many kilometres thick and composed of sulphuric acid, in contrast to the Earth's water vapour clouds. The atmosphere is a textbook example of the "greenhouse" effect and the temperature on the surface is over 400°C. No, Venus is not a nice place to visit! You may learn more about this fascinating planet in the many dedicated VT-2004 InfoSheets (Series D) - we suggest that you look first at the overview ( brief and extended version). Theme 6 (Week of September 13 - 19, 2004): An Exoplanet Encounter of the Third Kind ? The Venus Transit served to illustrate one of the three current methods employed to discover exoplanets in orbit around other stars. The search for these elusive objects is described in a dedicated VT-2004 InfoSheet ( brief and extended version). When an exoplanet happens to pass in front of its parent star (as seen from the Earth), the light of this star will dim a little . If the planet is big enough, this "dip" in the star's brightness will be sufficiently large that it can be measured. Until now, about six such cases are known. Two were described in ESO Press Release 11/04 (May 7, 2004) and the most recent one in a CfA Press Release (August 24, 2004). A second way of finding exoplanets is by means of the gravitational pull exerted on their parent stars . As a planet moves around its orbit, the direction of this pull changes and the star will accordingly move a little back and forth. This motion can be detected as a change in the star's speed along the line of sight ("radial velocity"); it is exactly by this method that the overwhelming part of the known 125+ exoplanets were discovered. Until recently, the lightest one known was about 40 times more massive than the Earth, but on August 25, 2004, an exoplanet in orbit around a solar-type star and with a minimum mass equal to that of Uranus (about 14 times the mass of the Earth) was announced by a team of astronomers using the most accurate instrument of its kind in the world, the HARPS spectrometer on the 3.6-m telescope at the ESO La Silla Observatory, cf. ESO Press Release 22/04. It was followed by a NASA announcement of two Neptune-sized exoplanets on August 31, 2004. Due to the mentioned gravitational pull, a parent star will also change its position in the sky a little, but this effect is very small and very difficult to measure. However, it is expected that the future PRIMA instrument at the ESO VLT Interferometer will be able to measure stellar position shifts as small as 0.00001 arcsec. This corresponds to about 2 cm at the distance of the Moon, and is sufficiently accurate to detect the presence of even rather light planets around nearby stars. A third kind of exoplanet detection is more straightforward but also more difficult - take an image of the planet ! Indeed, on several occasions during the past years, astronomical photos have revealed faint objects, seen near much brighter stars, but after further study, none of them were found to be exoplanets. Some turned out to be faint stellar companions, others were entirely unrelated background stars. Now, however, images and spectra have been obtained of a faint, red object very near a brown dwarf object known as "2M1207". The astronomers are very optimistic that this object is indeed a real exoplanet (see the image above) - read more about this exciting discovery in ESO Press Release 23/04 issued on September 10, 2004. After the invention of the telescope in the early 17th century, transits of Venus across the solar disk have occurred only 7 times, in 1631, 1639, 1761, 1769, 1874, 1882 and 2004. The prediction of such transits requires a good knowledge of the orbital movement of Venus. This was first possible thanks to the work of Johannes Kepler (1571-1630). He predicted a transit of Venus on 7 December 1631 and he also found that the transits of Venus occur about every 120 years. While no observations were made in 1631, Jeremiah Horrocks (1619-1641) in England predicted an impending transit of Venus for Sunday, 4 December 1639 at 3 o'clock of the afternoon (24 November 1639 by the Julian calendar); this prediction disagreed with the 120-year period found by Kepler. He observed the transit from his village of Hoole (near Preston) by projecting the image of the Sun on a graduated sheet of paper and so carried out the first measurement of a transit of Venus. The transit was also observed by Horrocks' friend William Crabtree (1610-1644) in Manchester, but he was so amazed by the observation that he failed to make any measurement..! 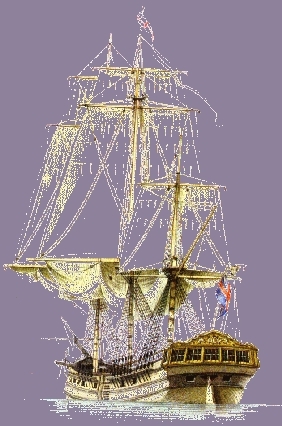 In the following centuries, many scientific expeditions were sent to different regions in the world to observe the Venus transits - perhaps the most famous one is that led by Captain James Cook to Tahiti in 1769. The enormous efforts bore fruit and served to measure the distance from the Earth to the Sun with a rather good accuracy. More information about the historical observations of the Venus transits are available on the VT-2004 InfoSheets for each of the events [ 1631-1639, 1761, 1769, 1874, 1882], and there is also a unique and very comprehensive table with all observers. The expeditions to Chile in 1882 are documented in particular detail here. During the spring months of 2004, Venus was visible in the evening sky as a very bright object, above the western horizon. Many spectacular photos were obtained, some carefully composed with selected foreground objects and providing impressive views. Most of this time, Venus was located near planets Mars and Saturn in the sky and once a month the Moon also passed by. Some photos therefore also show Venus together with one or more of these objects. You will find a selection of beautiful photos at the dedicated VT-2004 Photo Theme page. Now, at the end of August 2004, Venus is again very bright, but you will have to get up in the early morning while it is still dark, in order to enjoy it in the morning sky above the eastern horizon. In the hours before the Sun rises, you will find it at magnitude -4 in the constellation Gemini ("The Twins"), near the bright stars Castor and Pollux. Planet Saturn is also located here and the distance from Venus will be only 2° in the morning of August 31. On September 10, the waning Moon will pass close to the two planets and provide another fine opportunity for great photos. Venus is moving rapidly away and the distance from the Earth is now about 120 million km. Its visible disk measures about 20 arcsec and if you look at it with a small telescope, you will note that the phase is now about "half". On May 21, less than three weeks before the Venus Transit, Venus offered all sky gazers a very nice show as appetizer: the Moon passed in front of Venus for observers in a broad geographical section across Europe and Asia. This event is referred to as a "Venus Occultation" and was followed by many amateur astronomers. All the photos of this very nice appetizer may now be enjoyed by everybody on the dedicated VT-2004 Photo Theme page. More theme pages with great photos will soon become available. Theme 2 (Week of August 16-22, 2004): Surprising Venus Transit Photos! Thousands of observers were busy during the transit and enormous numbers of photos were taken. Many images were also made before and after the event. More than 550 images have so far been included in the VT-2004 Photo Archive . Some were obtained with rather simple equipment, others with professional instruments. Some images are "raw", i.e. as they were recorded by the camera, others have been processed by advanced software. Some observers caught other objects on their photos, notably the International Space Station (ISS). This did not happen by chance, but was the result of careful planning in accordance with the predictions issued before the event. Everything had to work, being at the right geographical location at the right time, opening the shutter with the correct exposure time during the few seconds of the ISS passage in front of the Sun and, of course, a clear sky! A seemingly hopeless task, but a few persistent amateur astronomers still succceded! Others caught passing airplanes in dramatic sequences and some found their view enriched by birds. All of these photos put a special accent to the transit experience and may now be enjoyed by everybody on the dedicated VT-2004 Photo Theme page. Theme 1 (Week of August 9-15, 2004): Venus Transit Public Events Very Successful! The Venus Transit on June 8, 2004, provided a unique occasion for everybody to witness a very rare celestial event and thousands of public events and viewings were organised in all regions of the world where the transit was visible. The VT-2004 programme contributed to this by providing extensive information about the wide scientific, technical, social and historical aspects of the transit, with the aim of transforming curiosity into knowledge and interest in science through a broad set of actions. Blessed with clear skies in most areas, amateur groups in one hundred countries (or more?) were extremely active and set up their instruments to the delight of a wide public - often on town squares in collaboration with the municipal authorities. Public observatories and planetaria received a record number of visitors. The transit was also watched at the schools by innumerable students and their teachers. The Venus Transit event was clearly a resounding success and rarely has a single natural phenomenon been watched and enjoyed by so many people! Photos from many of these events are now available at the websites of VT-2004 Network Members and VT-2004 National Nodes and some have been included at the VT-2004 site - more are welcome; please send them to vt-2004@eso.org.